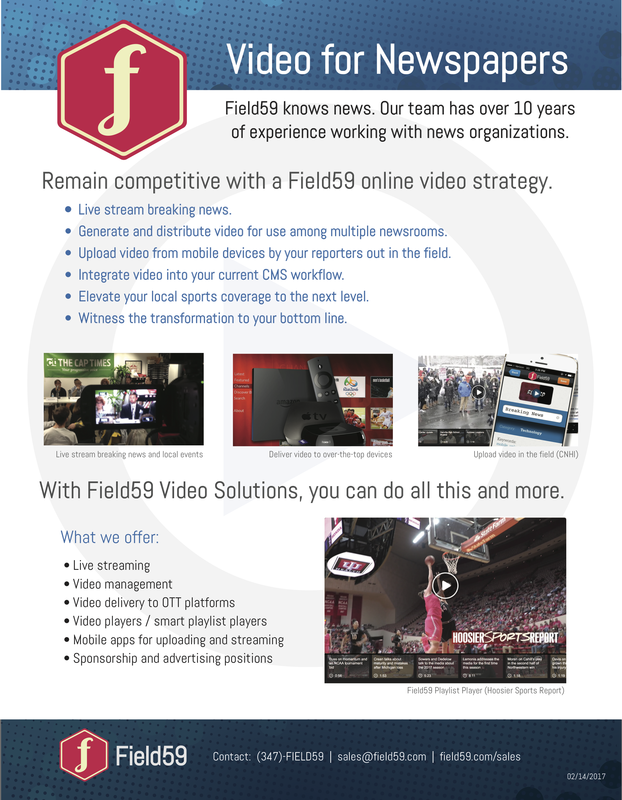 This article details how a user can create a video item in the Field59 Video Manager using a desktop browser. We recommend using either Chrome or Firefox browsers, but Safari 5+ and Internet Explorer 9+ are also supported. In the Field59 Video Manager, locate and click on the orange New button in the upper-right corner, then choose Video from the drop-down menu that appears to navigate to the Create New Video page. On the Create New Video screen, you can choose whether you want to upload a video file, or upload a video from a URL. If you choose File, the popup allows you to locate your file on your computer. Once you’ve chosen your file, it will begin to upload. There is a 1 GB limit on size for upload via file. (If your source video file is more than 1 GB for upload and you cannot post to a URL for ingest via URL, or if your source file is more than 50 GB for URL upload, please compress the file to a smaller size for ingest). In the Player drop-down menu, choose from your available custom players if you don’t want to use the default player. In the Thumbnail area, you can upload a custom thumbnail if you’d like. Otherwise, when the transcoding process is complete, a thumbnail will be automatically generated, as well as additional thumbnail options for your use. While the file is uploading, give your item a Title (required) that and Summary (optional). The title should be attention-grabbing for users if the video is used in a Smart or Manual playlist. Good metadata will also make it easy to locate the video in the manager later if you need to find or use it at a later time. Select a Category (required) that you think best describes the content. You may observe that the account has a default Category prepopulated. This can be changed if desired. Add any Keywords (optional) as needed. 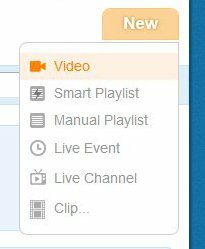 If you are uploading a video that will be used in an existing Smart Playlist, make sure your Category and/or Keywords match what is needed for the video to display in the playlist. If you would like to schedule live or dead dates for the video, select the Enabled check box in the Schedule section, then populate the dates the video will be available for playback. Please note this will impact a video’s availability in a playlist as well. The default if a schedule is not set, is for a video to immediately be available when ready. If you have a closed caption XML file and want it to appear in the player, select your file and upload it to the Closed Captions area. Currently supported XML formats include DFXP, SMPTE-TT, and TTML. The Description field (optional) can be used for including additional text about the video. Your account will have a default format to which a video will be transcoded. If you’d like your video to be transcoded to a format other than your default, locate Formats under the video upload area and click the Change button to update the formats. If your account is configured to send videos to your YouTube account and you want to send your uploaded video to your YouTube account, select the Publish to YouTube check box above Save. When you’ve completed these steps, and your video has completed its upload, click the orange Save button at bottom right. 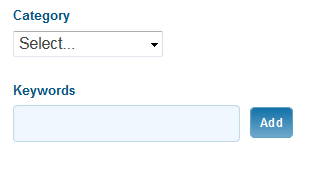 If you have not populated some required fields, you will be prompted to complete them prior to saving. Upon saving, your video is now sent off for processing and a new video item is created.